Welcome to RolexMagazine.com...Home of Jake's Rolex World Magazine..Optimized for iPad and iPhone: Rolex Lume Shot of The Day: Glow Power Baby!!! 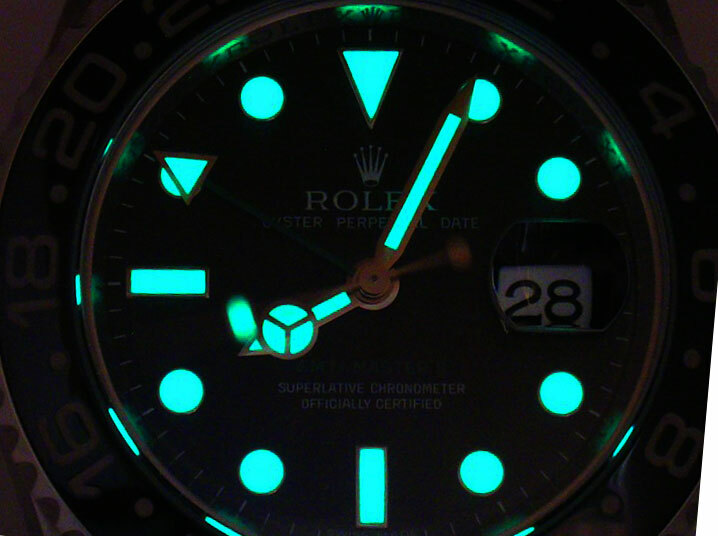 Rolex Lume Shot of The Day: Glow Power Baby!!! When you examine this close up Lume shot of the new Ceramic GMT II, you discover why Rolex has been moving toward Maxi Markers and Fatter Hands.